The theory of imperialism is the best known part of Vladimir Lenin’s theoretical work — it is a part of any basic exposition of political economy. For that reason, it is not presented in a systematic way even in the history of economic thought. Such systematic exposition is even less necessary in a monograph on Rosa Luxemburg’s theory of accumulation. However, it is useful to highlight the most fundamental features of Lenin’s theory of imperialism as distinct from other attempts at the theory of imperialism, as well as to present the conditions and circumstances of its development. 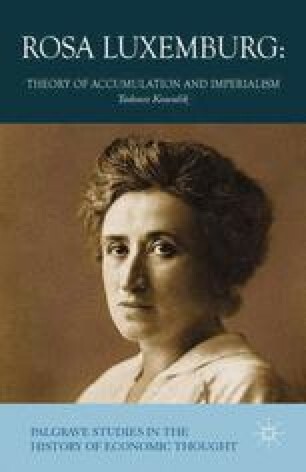 Such an approach to Lenin’s theory will facilitate the assessment of the place of Rosa Luxemburg’s work in the development of the theory of modern capitalism.